The Mazda CX-3 is a compact crossover SUV—emphasis on crossover. In reality, it's a tall hatchback or wagon with a higher ride height that appeals to many shoppers. 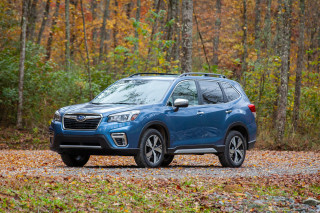 It lags in utility because of a small cargo area and light-duty, all-weather, all-wheel drive. It went on sale in 2015. With the CX-3, Mazda has a subcompact crossover to complete its line with the larger CX-5 and CX-9 crossovers. 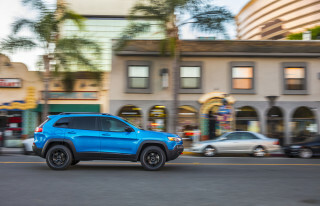 Competitors include mini-utes such as the Chevy Trax, Honda HR-V, Fiat 500X, and the Jeep Renegade. For 2018, Mazda added low-speed automatic emergency braking to all CX-3 trim levels, an important safety feature that's becoming commonplace among small cars. In 2019 it made a few small changes; horsepower rose to 148 and an electronic parking brake became standard. The CX-3 is on a mission to deliver Mazda road manners and styling in a package that's as safe and roomy as other small crossover SUVs. The CX-3 wears a shape that's much more interesting than that of the bigger CX-5. It's more heavily sculpted, with narrow headlights linked to the grille by slim strips of brightwork. The arced shoulder lines meet between the doors in a complex intersection of surfaces, and the rearmost pillar is black, giving the CX-3 the appearance of a floating roofline. From the back, the car has an Italian flavor, evoking some recent Alfa Romeo shapes. The cabin is adorned sparsely, with just a dash-mounted screen and round climate controls and vents breaking up the expanse. The CX-3 gets its power from Mazda's newest 2.0-liter inline-4. 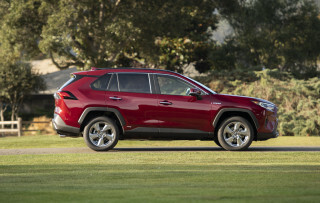 Output is rated at 146 horsepower and 146 pound-feet of torque. A 6-speed automatic is the only transmission available in the CX-3, and the little crossover returns solid fuel-economy numbers, with the front-drive version seeing 29 mpg city, 35 highway, 31 combined, according to the EPA. The all-wheel-drive version is rated at 27/32/29 mpg. All-wheel drive with active torque control is available on the otherwise front-drive CX-3. 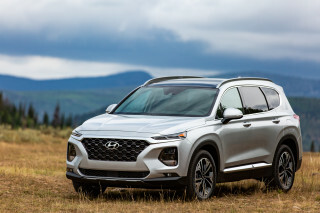 In either configuration, the crossover has good handling from its combination of electric power steering and front-strut and rear-torsion-bar suspension. Underlying those basics is a strong body structure with lots of high-strength steel for less flex, more precise control, and low weight. The CX-3 is short in overall length (168.3 inches) and wheelbase (101.2 inches). It's very close to the dimensions of the Honda HR-V, but while Honda's placed a best-in-class marker on interior space, Mazda's cockpit isn't as roomy. Drivers will enjoy the CX-3's high driving position and even higher seating position for the people riding on the CX-3's three-person rear bench, while rear-seat leg room and cargo room are on the lean side. The IIHS called the CX-3 a Top Safety Pick and federal testers agreed with a five-star overall score. 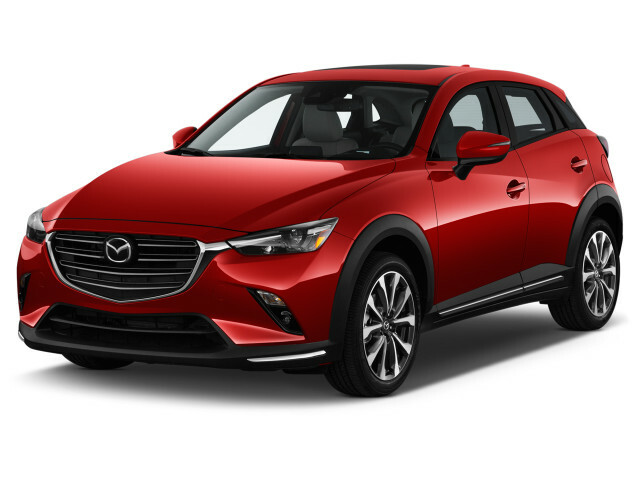 Like the new Mazda 3, 6, MX-5, and CX-5, the CX-3 offers the Mazda Connect infotainment system, which includes a 7.0-inch center display, a knob-type controller, smartphone connectivity for phone and audio steaming, and an available head-up display for the driver. 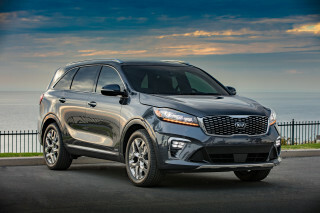 Other features include 18-inch wheels and leather and sueded upholstery, and of course the optional all-wheel-drive system. The CX-3 didn't change much for 2017, its second year on sale. Bigger, 18-inch wheels are now standard on mid-grade Touring models and Mazda reduced the price of its active safety feature suite—however it's still only available on top Grand Touring models. was great till a small pebble got into my raditor and put the car on the side of the road. Mazda CX-3 - elegant, stylish and a little bit cheeky!